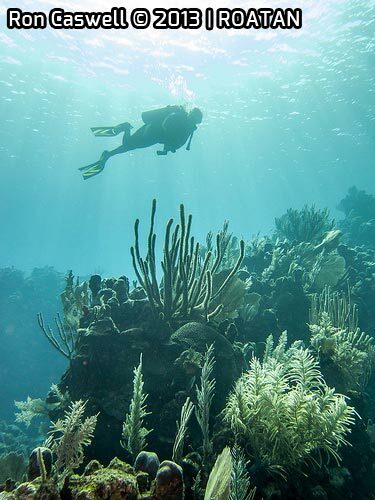 Diving in Roatan is hard characterised since it has quite a diversity of topography; wrecks , walls, caves, pinacles, classic reef, sandy expanses, canyons, drift dives, shore dives and boat dives. It is famous for having an abundance of macro life while supporting some good pelagic species not least the whale shark though not a common occurance and whales from time to time. In short you can't say many negative things about the diving especially as that diving comes at a low price in global terms. You can stay 2 weeks and not get bored. The visibilty is excellent year round and thanks to the Roatan Marine Park the reef is well looked after and certain species like lobster and turtles are being protected from llegal fishing practises. This website will help you decide where you might like to base yourself for your diving vacation as the island has seen many diving resorts spring up in the east mid island and as always the historic diving mecca that is the west of Roatan called westend. Some inspiration can be found in the videos and dive site sections of the site and then look for the practical travel info found here. We have some deal pages where we can offer you savings that get forwarded from time to time. When you decide what kind of vacation you want we can provide a fast way to list the options in this area. Alternatively if you message us through twitter @roatantravel; what you like in your vacation we can quickly recommend some resorts and give you ideas. 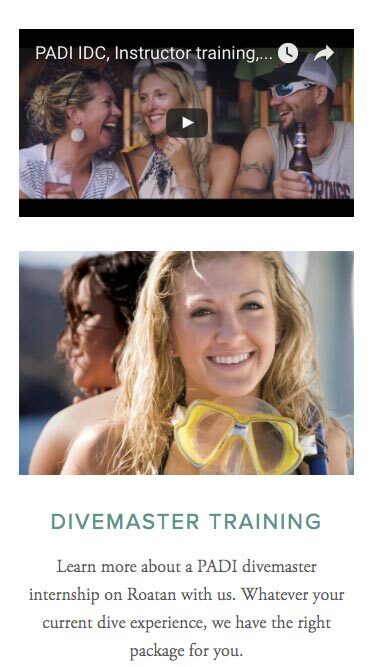 "PADI Course Director Will Welbourn is the longest serving Course Director on Roatan. His wealth of experience will ensure you get the best training possible."